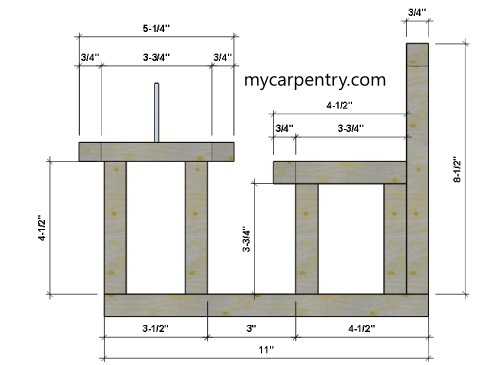 These squirrel feeder plans are very easy to follow. 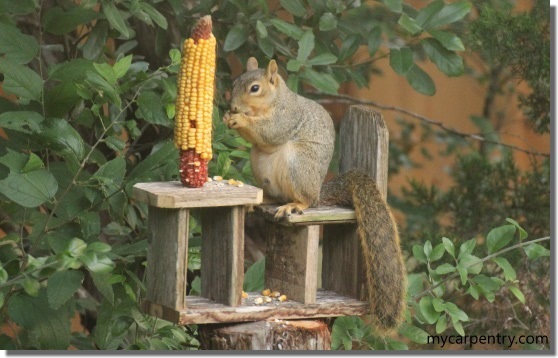 I think I made mine in about 15 minutes, and less than an hour after I added the ear of corn, a squirrel arrived. He has provided us many hours of entertainment, while we watch him sit on the wooden seat and eat from the table. I used an old western red cedar fence board (like many of my other projects) to build this squirrel feeder. You can use any kind of wood you want, but it is best to select a species that is naturally resistant to decay, like western red cedar or redwood. 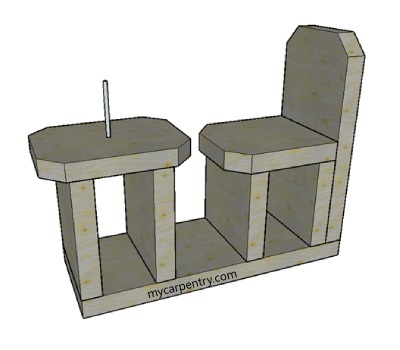 If you choose to add the fancy angles to the table top, seat, and seat back, measure in from each corner 3/4 inch (see the Top View diagram) and draw a 45 degree angle line connecting them. Cut the angles with the saw of your choice. Assemble and fasten the pieces together using 6d finish nails (or 2-inch 16 gauge finish air nails) and wood glue.